There is a bright glow in the dawn sky on this cold morning. At first I think it is the light of a plane passing and I imagine the sleeping passengers heading home to loved ones or departing on adventures. I watch, waiting for the plane’s glow to disappear across the sky but instead the light remains, slowly rising away from the horizon as the earth turns towards the sun and fading only as the morning light moves in. Venus. The planet Venus, named for the goddess of love, after the Sun and the Moon, is the brightest planet in the sky. 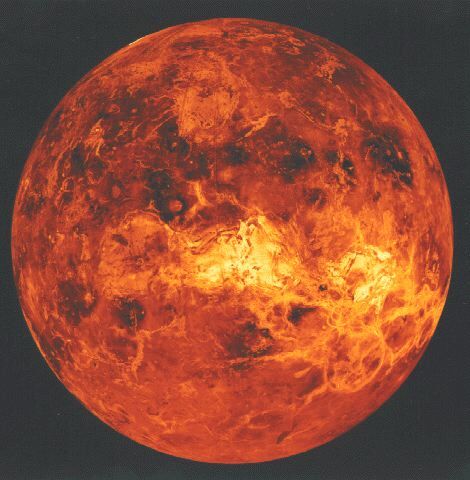 Only slightly smaller than Earth, and with densities and chemical compositions similar to ours, Venus’ surface is so windy and hot, speculation is that any water once there, all boiled away. Venus is sometimes called the morning star. That’s what I thought, this early morning when I realized I wasn’t looking at a plane. Maybe it’s a Nova – one of those stars that burn so hot they explode. Like people sometimes do. It’s Philip Seymour Hoffman’s kids I can’t stop thinking about. The older two are about the same age Molly was when her father died. A tough memory from that nightmare blur of a morning, when I told her that her father, who she’d been watching a movie with before she fell asleep, was dead. How? She wanted to know. Rather than tell her that he’d put a noose around his neck, I said: drugs. She knew about his drug problem – we’d been living with that struggle for years and she’d known for at least this last one. Tough stuff for an 8 year old. That morning it seemed liked ‘drugs’ inferred an element of accident rather than stating the truth of his intention to die. Besides, I wasn’t lying. His addiction did destroy him. It took me years to finally step away, to stop trying to find a way to fix him. Eventually, to even let go of hope. That was the hardest. I rode that roller coaster of hope and disappointment until it was one too many times. Yet even in deciding to finish the marriage, I harbored a touch of magical thinking that in doing so, I was giving him the ‘bottom’ – the wake up call he needed to finally get clean. I still deluded myself I might possess that kind of power. I still hoped. So I look at those kids and I think of mine. And, I think of their mother, his partner, and remember myself. I remember the dark months, weeks and days leading up to my husband’s end. I lived for so many years with lies, sometimes even knowing I was making a choice to believe them, as if that might make them true. Did she do that? What ultimatums did she give him? Did she feel relieved when he moved out of their home, feeling that bitter relief of not having the risk of drugs in the house, of being better able to protect their children from being with him when he was high? Of, while heartbroken, relieved not to have to wonder why he wasn’t coming to bed yet? Or worry why he was still in the bathroom? The not-knowing. Ever. After all, if this can happen after 23 years of sobriety. Once there, even if for a glimpse, how can we ever trust our addict is clean? Our addict. We all have at least one addict that is ‘ours’ because we love them. They can never really be ours. And we wonder why? Why our love, why the love of our children provides no cure? As much as I learn about addiction and accept that it’s a disease, there will always be that tormenting truth that nothing I ever did was enough. So yes, as the death of yet another celebrity throws a spotlight on addiction, I welcome the attention being paid to this complicated issue, although there are no answers here, we have to keep asking the questions. The heartbreak continues, with only a terrible comfort in the knowledge we are not alone. The loss of this great actor and good man saddens me too, but it’s those kids and their mother that I think of as I watch the morning star of love fade away at the break of another day. This entry was posted in Grief and Healing and tagged Grief, healing, light, living with addiction, Love, morning, motherhood, suicide, travel. Bookmark the permalink. You write very movingly of the struggle which you and other relatives face when someone close is an addict. It must have been incredibly hard to accept that your husband was unresponsive to help. Addiction is a disease but not in the sense that cancer is for instance – in the end, the only person who can manage it successfully is the person with the addiction and that takes enormous courage and determination. Some people manage it, I do know one or two, so I know how difficult it is. Sad about PSH, but yes the ones he’s left behind are suffering far more.